MS patients can be effectively monitored without the use of contrast agents. Researchers assessed 507 follow-up MR images for new or enlarged lesions. The 3T MRI results did not differ significantly between contrast-enhanced and non-enhanced images. OAK BROOK, Ill. — Brain MRI without contrast agent is just as effective as the contrast-enhanced approach for monitoring disease progression in patients with multiple sclerosis (MS), according to a new study in the journal Radiology. The findings support the possibility that contrast enhancement can be omitted from routine follow-up scans. MS is a disease in which the immune system attacks the body’s central nervous system, including the brain and spinal cord. This can lead to vision problems, numbness and a host of other symptoms. Damaged areas of the brain develop scar tissue, or lesions, that are visible on MRI. MRI with the administration of gadolinium-based contrast material is widely considered obligatory for follow-up scans of patients with MS. Gadolinium, a heavy metal, enhances the images and helps provide important diagnostic information, but it leads to both prolonged scan times and increased costs. There is also evidence that some of the metal remains in the body after contrast administration, although the long-term clinical impact of these deposits is unclear. 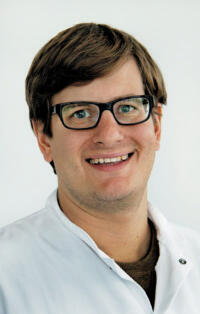 “These factors warrant evaluation of strategies for reducing or omitting contrast agent, especially in MS patients who often accumulate a high number of MRI scans over their lifetimes,” said study senior author Benedikt Wiestler, M.D., from the Technische Universität München in Munich, Germany. Advances in non-contrast MRI image acquisition and post-processing technology, along with the increasing availability of powerful 3T MRI machines, have raised the possibility that non-enhanced scans could have a role in MS follow-up imaging. To learn more, Dr. Wiestler and colleagues used MRI to assess new or enlarged lesions in 359 patients with MS. Of 507 follow-up scans, 264 showed interval progression, defined by as at least one new or unequivocally enlarged lesion on follow-up MRI scans. There were a total of 1,992 new or enlarged lesions. With 3T MRI, the assessment of interval progression did not differ significantly between the contrast-enhanced and non-enhanced images. Dr. Wiestler credited an image subtraction pipeline developed and researched at his facility for the powerful sensitivity of the non-contrast MRI in detecting newly occurring lesions. The approach combines 3-D MRI and subtraction techniques, which cancel out unchanged areas in the follow-up image, substantially improving visualization of new or enlarging white matter lesions. This combination of 3-D sequences and subtraction techniques is key to improving sensitivity for detecting newly occurred lesions, Dr. Wiestler said.